Wub-wub-wub-wub. Brainwaves are electromagnetic proof that we are alive. Decades of research have shown that these pulses of electrical potential reflect events at the root of our impulses and thoughts. As such, they underlie one of humanity’s weightiest moral decisions: deciding whether or not a person is officially dead. If a person goes 30 minutes without producing brainwaves, even a functioning heartbeat can’t convince doctors they’re alive. But as much as brainwaves loom in our understanding of the brain, not a single scientist has any idea where they come from. At least one researcher, Michael X. Cohen, Ph.D., an assistant professor at the Donders Institute for Brain, Cognition, and Behavior in the Netherlands, thinks it’s time to fix that. In an April op-ed in the journal Trends in Neurosciences, Cohen argued that the time has come for researchers to figure out what those brainwaves they’ve been recording for decades are really all about. “This is maybe the most important question for neuroscience right now,” he said to Inverse, but he added that it will be a challenge to convince his colleagues that it matters at all. Today, as Facebook races to read your brainwaves, roboticists use them to develop mind control systems, and cybersecurity experts race to protect yours from hackers, it’s clear that Cohen’s sense of urgency is justified. What we do know about brainwaves is that when doctors stick silver chloride dots to a person’s scalp and hook the connected electrodes up to an electroencephalography (EEG) machine, the curves that appear on its screen represent the electrical activity inside our skulls. The German neuroscientist Hans Berger spotted the first type of brainwave — alpha waves — back in 1924. Researchers soon discovered more of these strange oscillations. There’s the slow, powerful delta wave, which shows up when we’re in deep sleep. There’s the low spikes of the theta wave, whose functions remain largely mysterious. Faster and even stranger is the gamma wave, which some researchers suspect plays a role in consciousness. These waves are at the root of our understanding of the shape and structure of human thought, as well as the methods doctors use to figure out how brains break down. It’s thought that alpha waves, for example, are a sign the brain is inhibiting certain mental systems to free up bandwidth for other tasks, like sleeping or imagining. But where does it come from in the first place? So far, there’s been no satisfactory answer to this question, but Cohen is determined to find it. An alpha brainwave resembles a sine wave. No image credit. As one of the world’s leading researchers on the brain’s electrical activity, he hooks people up to EEG machines to figure out how their brains behave when they see a bird, think through a complex decision, or feel sad. But Cohen is the first to admit that what’s lacking in his research is context. Not understanding how those patterns relate to the actual meat of the brain — neurons firing or not firing, getting excited, or shutting down — leaves a huge mystery right at the center of brainwave neuroscience, he says. Part of the reason why it’s so hard to understand neuroscience research in the context of the brain, Cohen explains, is because neuroscientists themselves work in discrete, isolated sub-fields based on how big a chunk of the brain they study. Researchers studying the brain at the smallest level peel open individual neurons and watch the proteins inside them fold. Microcircuit neuroscientists map out the connections between neurons. Cohen zooms out a little further, connecting electrical patterns and human thought, rarely concerning himself with single cells or small groups of neurons. But as we begin to fully grasp how complex the brain really is, Cohen says, it’s increasingly imperative to find a way to bridge the research that happens at the macro and micro scales. Finally understanding brainwaves, he says, could be the key to doing so. That’s because brainwaves pulse at every single level of the brain, from the tiniest neuron to the entire 3-pound organ. “If you’re recording from just one neuron, you’ll see oscillations,” Cohen says, using the scientific term for wobbling brainwaves. For Cohen, brainwaves are the common thread that can unify neuroscience. But the problem is, most research deals only with the electrical activity produced from tens of millions of neurons at a time, which is the highest resolution a typical EEG machine can capture without needlessly cutting into an innocent study subject’s head. The problem is that this big, rough EEG research in humans isn’t very compatible with the intricate, neuron-scale research done in lab rats. Consequently, we have plenty of information about the brain’s parts but no understanding of how they work together as a whole. While we know that all that electrical activity is the result of charged chemicals sloshing around in our brains in rhythmic, patterned waves, that doesn’t tell us anything about the most important question: Why they’re generated in the first place. Despite some puzzlement from fellow scientists, Cohen plans to collect brainwave data from rodents. No image credit. There are a few ways to bridge that gap. Scientists like those at the Blue Brain Project in Switzerland are trying to do so by building a computerized brain simulation that’s detailed enough to include the whole organ, as well as individual neurons, which they hope can reveal a kind of cell activity that would cause different kinds of common EEG patterns to appear. The one huge challenge to this approach, however, is that there’s no computer that can simulate a brain’s computations in real time; just a millisecond of one neuron’s time in a simulation can take 10 seconds of real-world time for a computer to figure out. It’s certainly possible, but doing so would cost billions of dollars. Cohen’s plan, which relies on real-world experiments, is much simpler. Since you can’t cut open a human brain and start sticking electrodes in there to record activity (even in “human rights-challenged places,” Cohen says), he’s relying on rodents instead. But what makes his work different is that he’s hooking those rodents up to EEG machines, which researchers don’t usually do. “They say, why are you wasting your time recording EEG from rats? EEG is for when you don’t have access to the brain, so you record from outside,” he says. But rodents have brainwaves, too, and their data can provide much-needed insight into how to bridge the neuron-brainwave divide. His experiments will create two huge data sets that researchers can cross-reference to figure out how neuron function and EEG behavior relate to one another. With the help of some deep-learning algorithms, they’ll then pore over that data to build a map of how individual sparks of neural activity add up to recognizable brainwaves. If Cohen’s experiments are very successful, his team will be able to look at a rodent’s EEG and predict — with what he hopes is more than 98 percent accuracy — exactly how the neural circuits are behaving in its brain. “I think we’re not that far away from breakthroughs. Some of these kinds of questions are not so difficult to answer, it’s just that no one has really looked,” he said. But he admits that he’s worried that the segmentation of neuroscience research will get in the way of this whole-brain approach. “So this is very terrifying for me and also very difficult, because I have very little experience in the techniques that i think are necessary,” he said. Having to admit on his grant applications that his work would employ unfamiliar techniques he has never used made it difficult to get funding, but Cohen ultimately received a grant from the European Union. Now, with the aid of a lab fully staffed with experts in rodent brains, Cohen is ready to get to work. Soon enough, we might finally get some answers to one of the oldest and strangest mysteries in neuroscience: where all those wub-wubs really come from and what they really mean. Light-sheet technology allows researchers like Kavli Neuroscience Discovery Institute fellow Audrey Branch to observe how cells, ducts, or veins connect without damaging the cells in the sample Image credit: Will Kirk / Homewood Photography. Audrey Branch is trying to learn more about aging by studying old and young brains. Specifically, she’s interested in how cells connect to form memories and what might be going wrong with those connections when older people start to forget things. Until recently, getting at that question meant months of tedious specimen preparation. And even then, the very prep that made getting a glimpse of the brain’s core possible—slicing what’s already tiny into thousands of pieces—very likely destroyed the delicate connections the Johns Hopkins neuroscientist needed to see. That changed this spring when a new, three-dimensional microscope arrived at the university’s Homewood campus, a cutting-edge tool that not only condenses what had been months of work into just hours, but allows researchers unprecedented views of organs, tissue, and even live specimens. Just practicing with it, Branch knew it was a game-changer. She cried when she saw the first pictures of a mouse brain, its individual neurons glowing red, and its spindly dendrites, too—showing quite clearly the links between those cells. The selective plane florescence light sheet microscope arrived on campus in April, one of the first in operation on the East Coast and the only one in Maryland. Purchased with a grant from the National Institutes of Health, it cost $360,000. Unlike other microscopes, this one illuminates specimens from the side, shooting two perfectly aligned planes of light across an object, illuminating a wafer-thin slice of the whole while the camera captures the image—thousands of times over as the specimen moves through the light. When the images are displayed together, the result is a three-dimensional image or video clip of the full object, sort of like the more familiar CAT scan. The technology is very new, but Michael McCaffery, director of the university’s Integrated Imaging Center, expects researchers everywhere will be using it within a few years. Just among the Johns Hopkins community, word of the light sheet is already out and scientists have been lining up to use it—even if that requires the minor inconvenience of bringing specimens over from the medical campus. The light sheet is the latest advance in modern microscopy—a world that’s been evolving since fluorescence microscopy became the standard in the 1960s. Now, most researchers use confocal microscopes, which use lasers to illuminate a sample point by point—only extremely tiny samples will work—then create computerized images, pixel by pixel. Confocals produce vivid, high-resolution images, but the sample size limitations—nothing thicker than about 70 microns, which is about as wide as a strand of human hair—severely handicapped scientists. The new light sheet allows samples up to 12 to 15 millimeters, or about a half an inch. Researchers can study much larger samples, even entire organs. And because the samples don’t have to be cut up, researchers like Branch who are interested in how cells, ducts, or veins connect have a chance to observe them, unspoiled. It’s certainly Branch’s holy grail. Branch is a Kavli Neuroscience Discovery Institute fellow working in the Krieger School of Arts and Sciences. She wants to know how newborn neurons, which are key to making memories, connect to other cells in the brain—and how those connections might change as people age. Scientists know the number of newborn neurons declines with age, and that likely has something to do with why short-term memory declines with age. What Branch wants to do is audit these newborn cells in a young brain, determining how many there are, where they are, and what other cells they communicate with. She can compare that with an older brain and possibly see which connections have broken when memory loss occurs. If she can target the broken connections, there could be a way to treat the area with a drug and stop or slow cognitive decline. Branch has been practicing on the light sheet with mouse brains, and she plans to formally investigate her hypothesis with rat brains, which are bigger and more human-like. If she didn’t have the light sheet, Branch would have to slice the brain, which is about the size of an olive pit, into tissue-thin sections—about 250 pieces. Each slice would need to be stained, mounted onto a slide, and then imaged. Each of those images would need to be manually assembled into a composite to approximate the whole. Worse yet, by slicing the brain, she would lose most of the newborn neurons she needed to find, and probably all of the connections. She figures if she had marked 50 newborn neurons, she’d be lucky to find five. “It would be impossible to find the connections,” she says. “And it would be impossible to get an idea of who each of those cells is talking to. Maybe it’s not important, but I’m guessing that’s not the case. 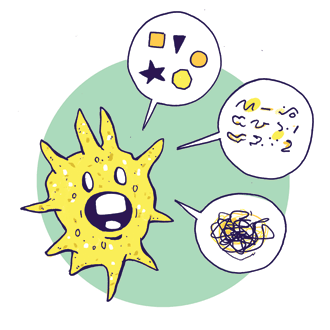 Neurons in isolation aren’t interesting; it’s who they’re talking to, it’s how they’re wired. Guy Bar-Klein, a neuroscientist working in the Hal Dietz Lab at the School of Medicine, has been crossing town to spend time at Homewood’s Dunning Hall with the light sheet to study blood vessels in the heart and brain, hoping to better understand what causes aneurysms. Without the light-sheet technology, his view would be limited to a minuscule section of tissue, much too small to get a true sense of its vasculature. Now, he has been looking at samples with intact blood vessels, making it possible to spot and track aneurysms—and possibly pinpoint the underlying issues that caused it to form. Michael Noë, a pathology resident who studies pancreatic cancer, hopes the light sheet’s three-dimensional perspective will allow him to see relationships between tumors and the surrounding nerves and blood vessels. Tumors often grow around nerves, and Noë expects the new perspective of cancerous ducts and nerves could shed light on why. Before researchers can view tissue of any sort with the light-sheet, their samples must be treated to make them translucent, so the microscope’s light can pass through and create an image. 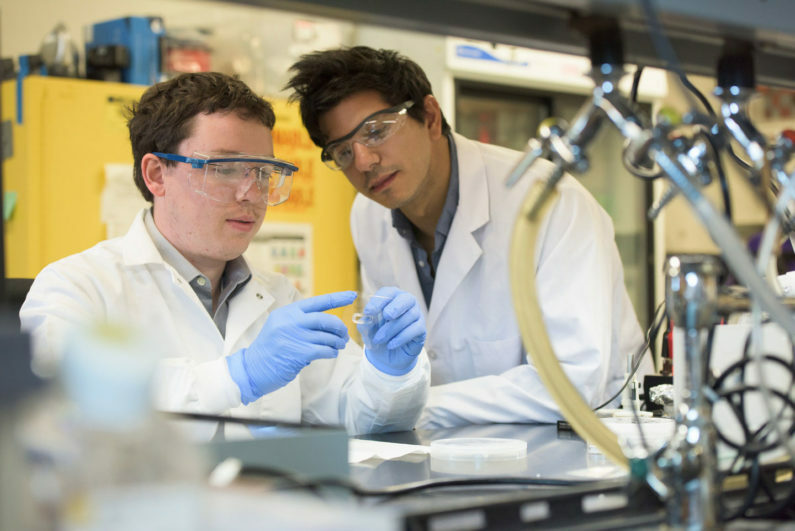 Noë has developed a protocol for clearing human tissue and tumors, work he’s hoping to publish. Branch expects to have 3-D images of all 30 of her rat brains in three to six months. She’ll see every newborn neuron. She’ll see each dendrite. And hopefully, she’ll find answers – she already knows she’ll find more questions. UW Medicine researchers have developed a technique for inserting a gene into specific cell types in the adult brain in an animal model. Recent work shows that the approach can be used to alter the function of brain circuits and change behavior. The study appears in the journal Neuron in the NeuroResources section. Gregory Horwitz, associate professor of physiology and biophysics at the University of Washington School of Medicine in Seattle, led the research team. He said that the approach will allow scientists to better understand what roles select cell types play in the brain’s complex circuitry. In their study, Horowitz and his colleagues at the Washington National Primate Research Center in Seattle inserted a gene into cells in the cerebellum, a small structure located at the back of the brain and tucked under the brain’s larger cerebrum. The cerebellum’s primary function is controlling motor movements. Disorders of the cerebellum generally lead to often disabling loss of coordination. Recent research suggests the cerebellum may also be important in learning and may be involved in such conditions as autism and schizophrenia. The cells the scientists selected to study are called Purkinje cells. These cells, named after their discoverer, Czech anatomist Jan Evangelista Purkinje, are some of the largest in the human brain. They typically make connections with hundreds of other brain cells. The gene they inserted, called channelrhodopsin-2, encodes for a light-sensitive protein that inserts itself into the brain cell’s membrane. When exposed to light, it allows ions – tiny charged particles – to pass through the membrane. This triggers the brain cell to fire. The technique, called optogenetics, is commonly used to study brain function in mice. But in these studies, the gene must be introduced into the embryonic mouse cell. In their paper, the researchers reported that by painlessly injecting the modified virus into a small area of the cerebellum of rhesus macaque monkeys, the channelrhodopsin-2 was taken up exclusively by the targeted Purkinje cells. The researchers then showed that when they exposed the treated cells to light through a fine optical fiber, they were able stimulate the cells to fire at different rates and affect the animals’ motor control. Horwitz said that it was the fact that Purkinje cells express L7/Pcp2 promoter at a higher rate than other cells that made them more likely to produce the channelrhodopsin-2 membrane protein. Horwitz coauthors were: lead author Yasmine El-Shamayleh, a postdoctoral fellow; Yoshiko Kojima, an acting instructor; and Robijanto Soetedjo, a UW School of Medicine research associate professor of physiology and biophysics. All are researchers at the Washington National Primate Research Center. This study was funded by National Institutes of Health grants to the researchers; an NIH Office of Research Infrastructure Programs grant to the Washington National Primate Research Center, and a National Eye Institute Center Core Grant for Vision Research to the University of Washington School of Medicine. The University of Washington is one of the world’s preeminent public universities. Our impact on individuals, on our region, and on the world is profound — whether we are launching young people into a boundless future or confronting the grand challenges of our time through undaunted research and scholarship. 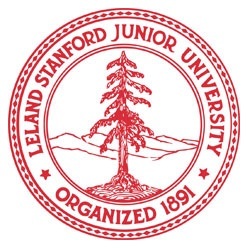 Ranked number 10 in the world in Shanghai Jiao Tong University rankings and educating more than 54,000 students annually, our students and faculty work together to turn ideas into impact and in the process transform lives and our world. For more about our impact on the world, every day. So what defines us —the students, faculty and community members at the University of Washington? Above all, it’s our belief in possibility and our unshakable optimism. It’s a connection to others, both near and far. It’s a hunger that pushes us to tackle challenges and pursue progress. It’s the conviction that together we can create a world of good. Join us on the journey. People who experience job loss, divorce, death of a loved one or any number of life’s upheavals often adopt coping mechanisms to make the situation less traumatic. While these strategies manifest as behaviors, a Princeton University and National Institutes of Health study suggests that our response to stressful situations originates from structural changes in our brain that allow us to adapt to turmoil. A study conducted with adult rats showed that the brains of animals faced with disruptions in their social hierarchy produced far fewer new neurons in the hippocampus, the part of the brain responsible for certain types of memory and stress regulation. Rats exhibiting this lack of brain-cell growth, or neurogenesis, reacted to the surrounding upheaval by favoring the company of familiar rats over that of unknown rats, according to a paper published in The Journal of Neuroscience. The research is among the first to show that adult neurogenesis — or the lack thereof — has an active role in shaping social behavior and adaptation, said first author Maya Opendak, who received her Ph.D. in neuroscience from Princeton in 2015 and conducted the research as a graduate student. The preference for familiar rats may be an adaptive behavior triggered by the reduction in neuron production, she said. “Adult-born neurons are thought to have a role in responding to novelty, and the hippocampus participates in resolving conflicts between different goals for use in decision-making,” said Opendak, who is now a postdoctoral research fellow of child and adolescent psychology at the New York University School of Medicine. The findings also show that behavioral responses to instability may be more measured than scientists have come to expect, explained senior author Elizabeth Gould, Princeton’s Dorman T. Warren Professor of Psychology and department chair. Gould and her co-authors were surprised that the disrupted rats did not display any of the stereotypical signs of mental distress such as anxiety or memory loss, she said. “Even in the face of what appears to be a very disruptive situation, there was not a negative pathological response but a change that could be viewed as adaptive and beneficial,” said Gould, who also is a professor of neuroscience in the Princeton Neuroscience Institute (PNI). Co-authors on the paper include: Lily Offit, who received her bachelor’s degree in psychology and neuroscience from Princeton in 2015 and is now a research assistant at Columbia University Medical Center; Patrick Monari, a research specialist in PNI; Timothy Schoenfeld, a postdoctoral researcher at the National Institutes of Health (NIH) who received his Ph.D. in psychology and neuroscience from Princeton in 2012; Anup Sonti, an NIH researcher; and Heather Cameron, an NIH principal investigator of neuroplasticity. The study is unusual for mimicking the true social structure of rats, Gould said. Rats live in structured societies that contain a single dominant male. The researchers placed rats into several groups consisting of four males and two females in to a large enclosure known as a visible burrow system. They then monitored the groups until the dominant rat in each one emerged and was identified. After a few days, the alpha rats of two communities were swapped, which reignited the contest for dominance in each group. When the researchers chemically restored adult neurogenesis in these rats, however, the animals’ interest in unknown rats returned to pre-disruption levels. At the same time, the researchers inhibited neuron growth in “naïve” transgenic rats that had not experienced social disruption. They found that the mere cessation of neurogenesis produced the same results as social disruption, particularly a preference for spending time with familiar rats. “These results show that the reduction in new neurons is directly responsible for social behavior, something that hasn’t been shown before,” Gould said. The exact mechanism behind how lower neuron growth led to the behavior change is not yet clear, she said. Bruce McEwen, professor of neuroendocrinology at The Rockefeller University, said that the research is a “major step forward” in efforts to explore the role of the dentate gyrus — a part of the hippocampus — in social behavior and antidepressant efficacy. “The ventral dentate gyrus, where they found these effects, is now implicated in mood-related behaviors and the response to antidepressants,” said McEwen, who is familiar with the research but had no role in it. At this point, the extent to which the exact mechanism and behavioral changes the researchers observed in the rats would apply to humans is unknown, Gould and Opendak said. The study’s overall conclusion, however, that social disruption and instability lead to neurological changes that help us to better cope is likely universal, they said. The paper, Lasting Adaptations In Social Behavior Produced By Social Disruption And Inhibition of Adult Neurogenesis, was published June 29 in The Journal of Neuroscience. This work was supported by the National Institute for Mental Health (NIMH). In the field of neuroscience, researchers often make the assumption that information they obtain from a tiny brain sample is true for the entire brain. Now, a team of scientists at The Scripps Research Institute (TSRI), University of California, San Diego (UC San Diego) and Illumina, Inc., has completed the first large-scale assessment of the way thousands of single neuronal nuclei produce proteins from genetic information (“transcription”) – revealing a surprising diversity in the process. The findings could improve both our understanding of the brain’s normal functioning and how it’s damaged by diseases such as Alzheimer’s, Parkinson’s, ALS and depression. The researchers accomplished this feat by isolating and analyzing 3,200 single human neurons, more than 10-fold greater than prior publications, from six Brodmann Areas (larger regions having functional roles) of the human brain. “Through a wonderful scientific collaboration, we found an enormous amount of transcriptomic diversity from cell to cell that will be relevant to understanding the normal brain and its diseases such as Alzheimer’s, Parkinson’s, ALS and depression,” said TSRI Professor and neuroscientist Jerold Chun, who co-led the study with bioengineers Kun Zhang and Wei Wang of UC San Diego and Jian-Bing Fan of Illumina. While parts of the cerebral cortex look different under a microscope – with different cell shapes and densities that form cortical layers and larger regions having functional roles called “Brodmann Areas” – most researchers treat neurons as a fairly uniform group in their studies. “From a tiny brain sample, researchers often make assumptions that obtained information is true for the entire brain,” said Dr. Chun. But the brain isn’t like other organs, Dr. Chun explained. There’s a growing understanding that individual brain cells are unique, and a possibility has been that the microscopic differences among cerebral cortical areas may also reflect unique transcriptomic differences – i.e., differences in the expressed genes, or messenger RNAs (mRNAs), which carry copies of the DNA code outside the nucleus and determine which proteins the cell makes. With the help of newly developed tools to isolate and sequence individual cell nuclei (where genetic material is housed in a cell), the researchers deciphered the minute quantities of mRNA within each nucleus, revealing that various combinations of the 16 subtypes tended to cluster in cortical layers and Brodmann Areas, helping explain why these regions look and function differently. Neurons exhibited anticipated similarities, yet also many differences in their transcriptomic profiles, revealing single neurons with shared, as well as unique, characteristics that likely lead to differences in cellular function. “Now we can actually point to an enormous amount of molecular heterogeneity in single neurons of the brain,” said Gwendolyn E. Kaeser, a UC San Diego Biomedical Sciences Graduate Program student studying in Dr. Chun’s lab at TSRI and co-first author of the study. Interestingly, some of these differences in gene expression have roots in very early brain development taking place before birth. The researchers found markers on some neurons showing that they originated from a specific region of fetal brain called the ganglionic eminence, which generates inhibitory neurons destined for the cerebral cortex. These neurons may have particular relevance to developmental brain disorders. In future studies, the researchers hope to investigate how single-neuron DNA and mRNA differ in single neurons, groups and between human brains – and how these may be influenced by factors such as stress, medications or disease. If your car’s battery dies, you might call on roadside assistance—or a benevolent bystander—for a jump. When damaged neurons lose their “batteries,” energy-generating mitochondria, they call on a different class of brain cells, astrocytes, for a boost, a new study suggests. These cells respond by donating extra mitochondria to the floundering neurons. The finding, still preliminary, might lead to novel ways to help people recover from stroke or other brain injuries, scientists say. “This is a very interesting and important study because it describes a new mechanism whereby astrocytes may protect neurons,” says Reuven Stein, a neurobiologist at The Rabin Institute of Neurobiology in Tel Aviv, Israel, who was not involved in the study. To keep up with the energy-intensive work of transmitting information throughout the brain, neurons need a lot of mitochondria, the power plants that produce the molecular fuel—ATP—that keeps cells alive and working. Mitochondria must be replaced often in neurons, in a process of self-replication called fission—the organelles were originally microbes captured inside a cell as part of a symbiosis. But if mitochondria are damaged or if they can’t keep up with a cell’s needs, energy supplies can run out, killing the cell. In 2014, researchers published the first evidence that cells can transfer mitochondria in the brain—but it seemed more a matter of throwing out the trash. When neurons expel damaged mitochondria, astrocytes swallow them and break them down. Eng Lo and Kazuhide Hayakawa, both neuroscientsists at Massachusetts General Hospital in Charlestown, wondered whether the transfer could go the other way as well—perhaps astrocytes donated working mitochondria to neurons in distress. Research by other groups supported that idea: A 2012 study, for example, found that stem cells from bone marrow can donate mitochondria to lung cells after severe injury. To find out whether this kind of donation was taking place in the brain, Lo and Hayakawa teamed up with researchers in Bejing to test whether astrocytes could be coaxed into expelling healthy, working mitochondria. Previous studies hinted that astrocytes may pick up on neurons’ “help me” signals using an enzyme called CD38, Lo says. The enzyme, produced throughout the body in response to injury or damage, is also made by astrocytes. When Lo and colleagues genetically engineered mice to produce excess CD38, astrocytes from the rodents—extracted and deposited into fluid-filled dishes—expelled large numbers of still-functional mitochondrial particles. Researchers then dumped the mitochondria-rich fluid into another dish containing dying mouse neurons, and found that the cells did, in fact, absorb the mitochondria within 24 hours. The recharged neurons also grew new branches, lived longer, and had higher levels of ATP than cells not receiving the replacement batteries, suggesting that the astrocytes’ mitochondria were beneficial. Next, the team needed to determine whether the same phenomenon happens in living animals. So they subjected live, anesthetized mice to a strokelike injury and then injected damaged brain regions with astrocyte-derived mitochondria. After 24 hours, scientists killed the mice, cut into their brains, and examined the tissue microscopically. They saw that the mice neurons had not only absorbed the mitochondria, but also had significantly higher levels of molecules known to promote survival in distressed cells than did mice that had not received the mitochondrial cocktail. Given that CD38 plays many important roles throughout the body, including the immune system, the data are “way too preliminary” to start pursuing drugs that would increase or alter its activity, cautions Frances Lund, a microbiologist at the University of Birmingham in Alabama. It’s not clear, for example, whether the transfer of mitochondria was caused by, or merely correlated with, CD38 levels, she says. Still, Jun Chen, a neurobiologist at the University of Pittsburgh in Pennsylvania, is hopeful that the finding could lead to new treatments for diseases attributed to mitochondrial dysfunction. Parkinson’s disease, for example, is a neurodegenerative disorder strongly associated with mitochondrial dysfunction, in which dopamine-producing neurons in certain brain regions die en masse. If the new research pans out, he says, clinicians may one day be able to deliver healthy mitochondria into sick, but still viable, neurons. When asked for the biggest idea that would transform neuroscience, Stanford mechanical engineer Nicholas Melosh came up with this: using engineering tools he and his colleagues were developing to record the electrical activity of cells. If it works, Melosh’s big idea could help neuroscientists improve on devices that interface with the brain – such as those currently used to relieve symptoms of Parkinson’s disease – screen drugs for electrophysiology side effects, and understand with greater precision the electrical currents that underlie our thoughts, behaviors and memories. To make this idea a reality, Melosh, an associate professor of materials science, engineering and photon science, founded the NeuroFab as an initiative of the Stanford Neurosciences Institute. It was one of seven interdisciplinary “Big Ideas” initiatives intended to tackle fundamental problems in neuroscience. “Eventually we’d like to create a toolset that would impact many neuroscience labs,” he said. The NeuroFab serves as both a physical space where engineers and neuroscientists can collaborate on new tools and an intellectual space with regular meetings to discuss ideas. Melosh said neuroscience and engineering have a lot in common. “Neural activity is electrical in nature and is a natural fit for engineers,” he said. But the language, cultures and skills of the two groups have been hard to bridge. John Huguenard is one of the neuroscientists on the other side of that bridge. “There is a cultural difference between engineers and biologists,” said Huguenard, a Stanford professor of neurology and neurological sciences. Huguenard studies widespread neural activity in the brain, such as what occurs in sleep patterns or epilepsy. “This work requires us to record from many parts of the brain simultaneously,” he said, something that has been challenging with existing technology. Currently, neuroscientists have two primary methods to record cellular electrical activity. One is highly accurate, but can only record from one cell at a time, inevitably killing the cell within about two hours. The other can record long-term from an array of cells, but is not very sensitive. So far, teams within the NeuroFab are experimenting with a variety of approaches for reading electrical signals. Two of the more well-developed ones involve conductive nanomaterials, either in the form of nanopillars, which poke up into cells from below, or arrays of linear nanotubes that pass through cells like a bead on a string. Other approaches involve the optical recording of electrical fields, massively parallel interfaces based on computer chips, and membrane-fusing electrodes. Early in the NeuroFab’s existence, Melosh started talking with Philip Wong, a Stanford professor of electrical engineering, whose lab is developing ways of using highly conductive carbon nanotubes for next-generation computer chips. Wong brought in graduate student Gregory Pitner, who had experience with techniques for making those carbon nanotubes in a variety of configurations. “We grow them aligned, we grow them dense, we grow them consistently and reproducibly,” Pitner said, who believes that the dense, aligned nanotubes could provide a conductive surface for cells to grow on. That initial design changed when Pitner got a lesson in cell biology from Matthew Abramian, a postdoctoral fellow in Huguenard’s lab. Cells, Abramian explained, are surrounded by a halo of sugars and proteins and it’s these molecules that are in contact with a lab dish, not the cell itself. To get access to electrical changes within the cell, Pitner learned that his nanotubes needed to be suspended in a way that would allow the cell to encompass and incorporate the tube. “There are all sorts of practical details to understand about cell behavior that go way beyond high school biology,” Pitner said. The new design has small troughs for the cells to grow in, containing a single nanotube leading out to a recording station. With that new design, the pair needed to find that right cell type to test whether the idea works. If it succeeds, they envision being able to record from any kind of conductive cell including different types of neurons or heart muscle. “This would be a device where you can get data on hundreds of neurons at one time,” Abramian said. Abramian said the pace of biology came as a surprise to engineers. Cells can take up to weeks to grow, and then they don’t always have the anticipated properties, he added. By contrast, Abramian said he was amazed by the amount of control engineers have over their designs. “They have methods for building really intricate devices, and they can test them right way,” he said. By including faculty and students from many disciplines, Pitner said. the NeuroFab helps bridge these gaps in knowledge and expertise. “These kinds of relationships are almost impossible to create in a vacuum,” he said. Melosh said he hopes tools developed in the NeuroFab will enable bidirectional communication with neurons in a dish, and eventually the brain, which may start to unlock secrets of the brain by measuring from many places at once. science” movement—all results and data will be made freely available at the time of publication, for example, and the institute will not pursue patents on any of its discoveries. Although some large-scale initiatives like the government-funded Human Genome Project have made all data completely open, MNI will be the first scientific institute to follow that path, Rouleau says. After a year of consultations among the institute’s staff, pretty much everyone—about 70 principal investigators and 600 other scientific faculty and staff—has agreed to take part, Rouleau says. Over the next 6 months, individual units will hash out the details of how each will ensure that its work lives up to guiding principles for openness that the institute has developed. 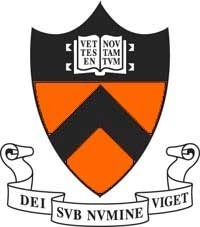 They include freely providing all results, data, software, and algorithms; and requiring collaborators from other institutions to also follow the open principles. Staff at the institute were generally in favor of the plan, according to Lesley Fellows, a neurologist at MNI, though there were concerns about how to implement some aspects of it—such as how to protect patient confidentiality, and whether there would be sufficient financial support. Yet there is a “moral imperative,” according to Fellows, for research to be shared as openly as possible. “While the scale of ‘open’ that can be pursued right now may vary across research areas and will certainly depend on the resources that can be brought to bear, the practical challenges seem worth contending with,” she says. Participation is voluntary, and researchers can pursue patents on their own, but MNI will not pay the fees or help with the paperwork. Advocates of open science have welcomed MNI’s move. Brian Nosek, a psychologist and director of the Center for Open Science at the University of Virginia in Charlottesville, says he is “very impressed” with the institute’s plans. “It’s clear they are looking to move the organization towards the ideals of science,” he says. The insistence that any organization or institute that collaborates with MNI will also have to follow open-science principles for that project could help to spread the approach, says Dan Gezelter, a chemist and open-science advocate at the University of Notre Dame in South Bend, Indiana. “It’s a little bit viral. I’ve never seen that before,” he says. Nosek agrees. “There is little that is more powerful in changing behavior than peer pressure,” he says. 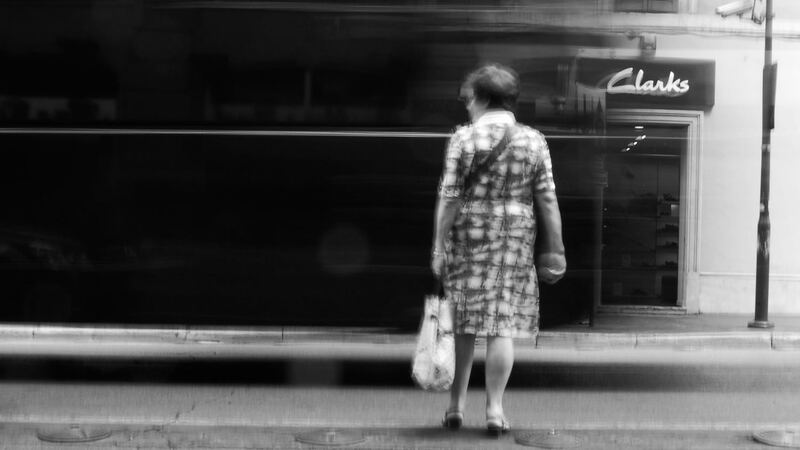 Neuroscientists have known since the 1960s what nerves tell a person’s legs to step off the curb to cross the street. But until now, they had no idea which hold the person back to avoid getting hit by a car. By stimulating nerve cells with light, a group of neuroscientists at the Karolinska Institut in Stockholm both defined the aptly named “stop neurons” and saw how they work in walking mice. The team used a “bottom-up approach” to explore how the spinal cord, lower in the chain of neural command, communicates with the brain stem, which is higher in the chain. “Stop neurons” tell our bodies to stop moving.Photo credits: O. Bendorf/Flickr (CC BY-NC-ND), Julien Bouvier. To find the stop neurons, Kiehn and Julien Bouvier first modified a mouse’s brain stem to be sensitive to light stimulation, then sliced it into smaller and smaller segments. They removed parts until light no longer stimulated the segment. From this, the researchers pinpointed a cluster of “stop neurons” that extend down part of the spinal cord that, when stimulated tell the spinal cord to halt locomotion. What particularly surprised Bouvier was that “those stop cells are excitatory.” In order to stop motion, the cells need to be stimulated. It’s not enough to simply interrupt the locomotion signal. Bouvier compares it to driving a car. As long as you press the gas pedal, your car will move forward. Going into the study, scientists thought that releasing the pedal would eventually stop the car, or gradually mute the instructions to keep walking. ”But what we found was a brake pedal used only to stop,” Bouvier said. Watching the pathway unfold in mice supported their earlier findings. When the researchers pulsed light on stop neurons, the mice came to a stop. Light did not have an effect on mice that had blocked stop neurons—instead of stopping, they kept walking. 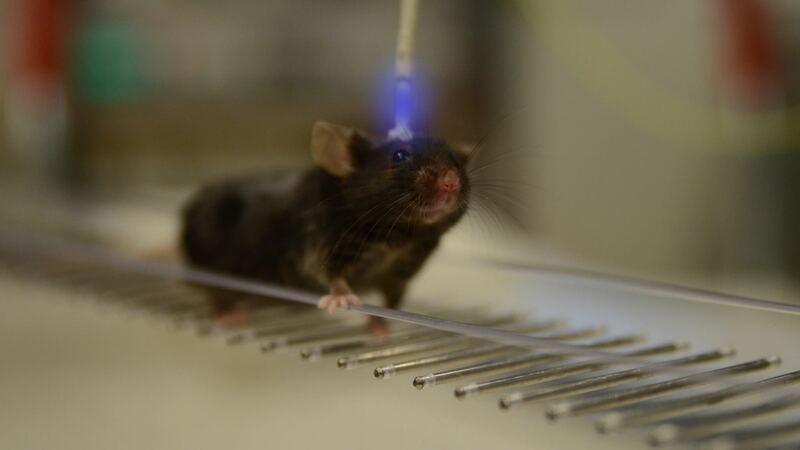 A mouse rigged for an optogenetics experiment is given a blue activation signal. Interestingly, the mice that could stop did so smoothly. They finished the step they were about to do. This behavior is very different from freezing, an all-over muscle contraction in response to fear. Bouvier said the smooth stopping allows animals to “keep posture,” making them less likely to fall or lose balance. Leg paralysis from a damaged nerve can disrupt communication between the brain and spinal cord. Knopfel speculated that an implantable device could be connected to this injured nerve, which could help patch this faulty circuit and help a patient learn to move his or her leg again. The same technology the researchers at Karolinska used—called optogenetics—could be used to make this device. Kiehn speculated that stop neuron activity might contribute to motor symptoms of Parkinson’s disease. One common symptom of late stage Parkinson’s is an involuntary “freezing gait.” Kiehn thinks this could be a sign that the locomotion “start signal” does not work properly, or that stop neurons may be less active than normal. Future tests will involve trying to identify these neurons in diseased mice. We may not consciously think about every time we start and stop to walk, but locomotion is the output of many brain activities. Stop neurons are a critical link in this chain of command; they are the neural brake pedal that saves us from cars having to slam theirs’ in the crosswalk. “Even though movement may sound like a boring, noncognitive behavior, it is really one of the most important behaviors,” Kiehn said. When we speak of brain cells we usually mean neurons: those gregarious, energetic darlings of cell biology that intertwine their many branches in complex webs and constantly crackle with their own electric chatter. But neurons make up only half the cells in the brain. The rest, known as neuroglia or simply glia, have long lived in the neuron’s shadow. French physiologist Henri Dutrochet first documented glia in 1824, though he had no idea what they were—he simply noted globules between the nerves of mollusks. In 1856, German biologist Rudolf Virchow gave those blobs the name “neuroglia,” describing them as “a sort of putty in which the nervous elements are embedded.” In the following decades, scientists learned that this putty was in fact made of individual cells—at least six major types, we now know—that formed intricate structural networks with both neurons and blood vessels. Yet they still regarded glia (which is Greek for “glue”) as mere fluff ‘n stuff, the brain’s packing peanuts, an inert plasma holding everything else in place. Neurons are not always born where they are meant to reside. In the developing brain, so-called radial glial cells form a widespread lattice of cables along which neurons crawl like inchworms to their permanent homes. 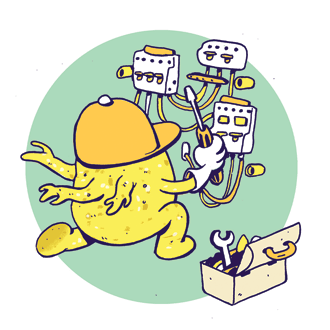 When this scaffolding is no longer required, radial glia transform into other kinds of glia, such as starburst-shaped astrocytes and octopus-like oligodentrocytes, or even into neurons. Scientists recently discovered that a specific subset of radial glial cells are fated to become neurons in the upper-most region of the cerebral cortex, the brain’s wrinkly outer layer responsible for our most sophisticated mental talents. Because the cerebral cortex of the human brain is so large and dense for a mammal our size, these glial cells likely played a key role in our evolution. A series of studies in the last three years have also confirmed that some glial cells excrete molecules that promote the formation of new connections between neurons, while others engulf and digest weak and underused synapses, changing the brain’s micro-circuitry throughout life. superfluous fluid, dead cells, and lingering cellular debris that could impede business as usual. The brain is no exception. Scientists have known for years that finely branched glial cells called microglia play a major role on the brain’s waste management team. 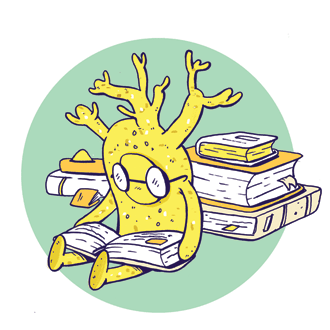 Microglia roam about scavenging harmful tangles of proteins, the remains of dead cells, and bits of unneeded DNA. But a study published just last year indicated that microglia are essential for eliminating clumps of amyloid beta and other protein clusters associated with Alzheimer’s and related neurodegenerative disorders. 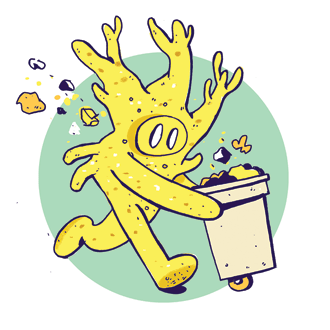 Microglia are not the only members of the glia tribe that help take out the trash, though. Three years ago, Jeffrey Iliff, then of the University of Rochester Medical Center, and his colleagues injected fluorescent molecules into the fluid surrounding the brains of live mice. The molecules traveled through a previously unrecognized network of channels formed by glia known as astrocytes, which flank arteries and veins. Perhaps these glial ducts, Iliff and his team surmised, act as a drainage system for the brain. When they introduced amyloid beta into the rodents’ brains it was indeed cleansed away via the astrocyte aqueduct. The oligodendrocyte precursor cell (OPC) is one of the most unique and active types of glia. OPCs eventually mature into adult oligodendrocytes that wrap their many tentacles around neuronal branches, sheathing them like rubber insulating electrical wire. Scientists discovered more than a decade ago that OPCs form synapses with neurons and change their own behavior based on the electrical signals they receive from those neurons. They are the only glial cells to do this. Now, emerging evidence indicates that the communication between OPCs and neurons goes both ways. The surfaces of OPCs are studded with a distinct protein known as NG2, and in a study published last fall, Dominik Sakry and Angela Neitz of Johannes Gutenberg University Mainz showed that the electrical impulses OPCs receive from neurons sometimes trigger enzymes to cleave NG2 from the cell membrane, allowing the protein to drift away and contact nearby neurons. When the cleaved fragments of NG2 bind to neurons, they make the cells more responsive to neurotransmitters such as glutamate, which are essential players in neuronal communication. When Sakry and Neitz eliminated either NG2 or its associated enzymes from mice, the animals’ ability to pick up sensory information was impaired: They were slower than typical mice to realize that a repeated startling sound was innocuous, and they showed less interest in new smells. That suggests the cross-talk between neurons and OPCs is not mere idle chatter, but rather an essential dialogue that underlies behavior. oxygen and carbon dioxide. First, they genetically engineered the astrocytes of living rats to glow when the cells revved up their internal calcium signals, which help orchestrate activities within the cell. Then they exposed the astrocytes to differing pH levels. Only astrocytes in the medulla oblongata, a part of the brain stem that controls breathing and heart rate, responded. When those astrocytes detected a drop in blood pH, which would correspond to elevated levels of carbon dioxide, they increased their internal calcium signaling and began to secrete adenosine triphosphate (ATP)—a molecule used to store energy and perform a wide range of cellular tasks. The ATP stimulated surrounding neurons to fire, which increased the breathing rate in live rats, eventually bringing more oxygen to the brain. Raising the pH, which would correlate with oxygenated blood, had the opposite effect. 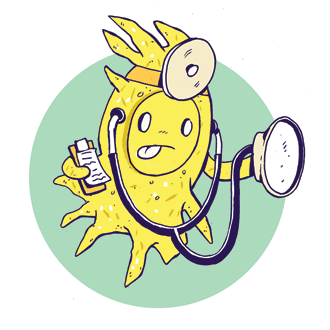 This suggests that glia are crucial for every breath you take. In Daniel Keyes’s 1958 short story Flowers for Algernon, scientists perform experimental brain surgery on a man named Charlie Gordon to dramatically increase his intelligence. First, though, as so often happens in medical research, they test out the procedure on a mouse—the eponymous Algernon. A few years ago, scientists did something spookily similar (to a mouse, that is, not a human). Steven Goldman and Maiken Nedergaard of the University of Rochester Medical Center and their colleagues injected immature human brain cells into the heads of infant mice. A few months later, those part-human mice performed much better on tests of memory and intelligence than mice with typical brains. They were quicker to find the escape route out of a maze and to learn that a certain sound signaled an imminent electric shock. Here’s the thing: The scientists did not infuse the mice with neurons, but rather melded the mice brains with human glial cells. There are likely several reasons for this glial-fueled boost in brain power. Several months after the surgery, many immature glial cells had matured into human astrocytes and essentially taken over the mice’s forebrains. Human astrocytes are larger and more powerful than their rodent counterparts: They have about 10 times more branching tendrils and their internal waves of calcium ions travel three times faster. By absorbing and releasing neurotransmitters, and thereby modifying the availability of these molecules, astrocytes change how frequently and forcefully neurons fire. In mice with human astrocytes, neurons sent stronger signals and were more likely to fire in the first place, leaving them with super-charged forebrains. One can only imagine what our glia can do with a forebrain full of human neurons, or how different we’d be without them.